The National Museum of Wildlife Art is proud to welcome more than 80,000 people through its doors annually, including more than 10,000 children. 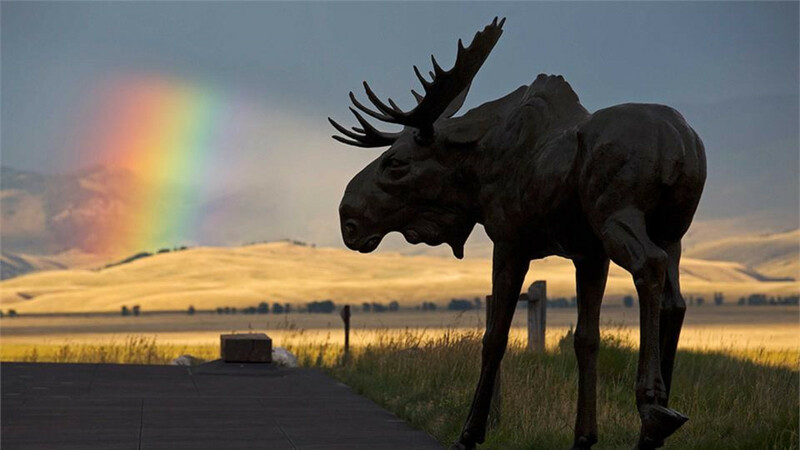 With an internationally acclaimed collection of over 5,000 cataloged items, the National Museum of Wildlife Art in Jackson Hole, Wyoming, serves to enrich and inspire appreciation and knowledge of humanity's relationship with nature. The stunning building overlooks the 25,000-acre National Elk Refuge and is en route to Grand Teton and Yellowstone National Parks. There is a seamless connection between the Museum, its mission, subject matter, and wilderness location. The Greater Yellowstone Region is one of the few remaining areas of the United States where native wildlife still roams abundantly and free. The Museum offers an exciting calendar of exhibitions from the permanent collection and changing exhibitions from around the globe. Museum visitors enjoy 14 distinctive galleries, Museum Shop, Palate Restaurant, Children’s Discovery Gallery, Library, and unique programming for all ages. For more information on weddings and private events, as well as a complete schedule of exhibitions, programming, and special events please visit us online at WildlifeArt.org.